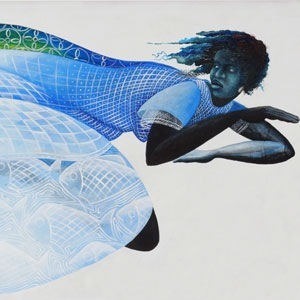 Now extended through June 5th! Talented Chicago cast gets the job done! ‘Everybody should have something to point to!’ At the end of a career, job, or just day, there is satisfaction in pointing to something well-constructed… building, memo, burger… to say ‘I did that!‘ Steel beam to corner office to cubicle, one building houses millions of work tales. 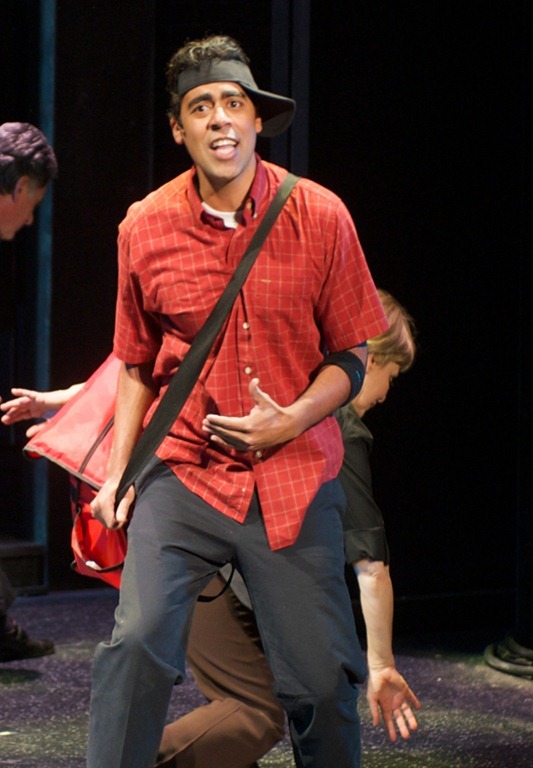 Broadway in Chicago presents Working a musical. 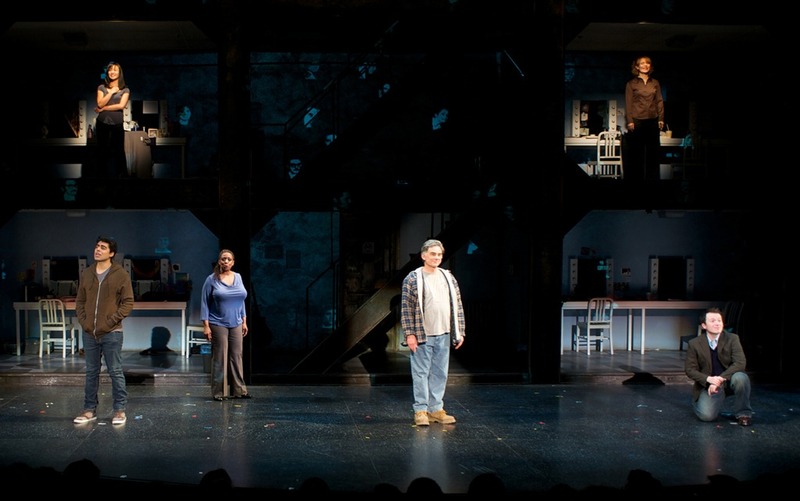 In 1974, Pulitzer Prize- winning author Studs Terkel published a collection of interviews in his book entitled “Working: People Talk About What They Do All Day and How They Feel About What They Do.” In 1977, Stephen Schwartz and Nina Faso adapted the book into a musical about the working class. 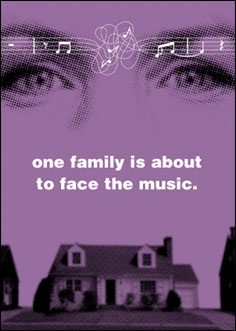 In the current production, both skilled director Gordon Greenburg, and additional songs, have been added to the resume. ‘Working 2.0’ brings timeless employees’ woes into a new age. 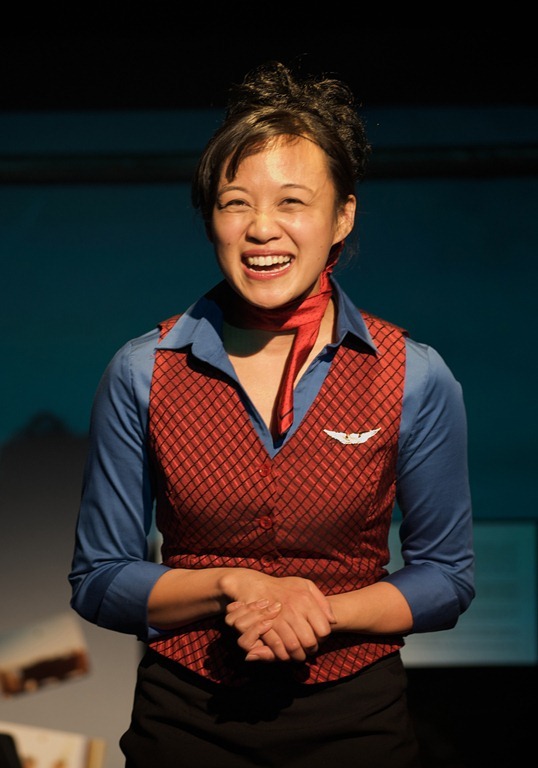 Working is the ordinary dreams of ordinary people sung by an extraordinary Chicago cast! The show is cued with a behind-the-curtain glimpse at staged theatre. An unseen person calls out directions in a countdown to the start. A bi-level backdrop showcases four dressing rooms where actors-playing-actors-playing-workers are busy prepping. The intriguing set by Beowulf Boritt has a strong industrial framework influence. The beams work double-time to establish a construction feel as an ironworker kicks-off the interview series. Later, the metal structure is the screen for visual projections by Aaron Rhyne. Designer Rhyne adds magnificent depth to the stories with authentic location and people imagery. Studs Terkel haunts the stage from beginning to end. In the opening scene, his voice is heard as several reel to reel recorders play his historic interviews tapes. 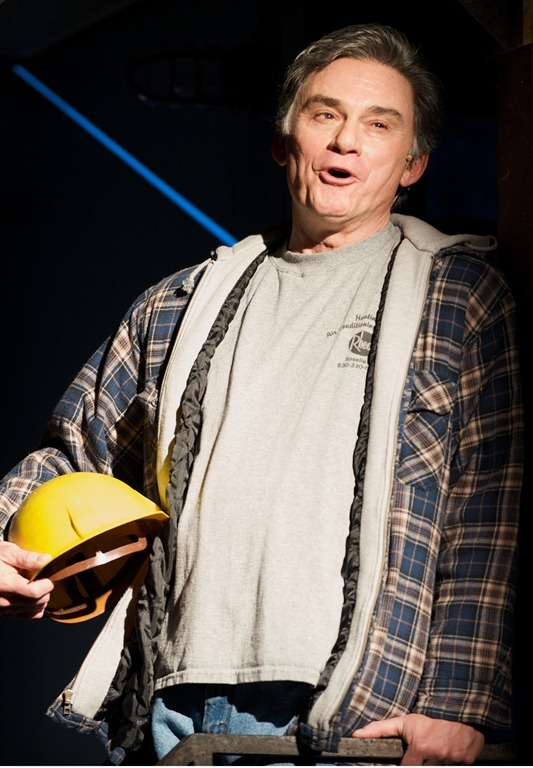 At the finale, projections of the working people series ends with his facial profile. 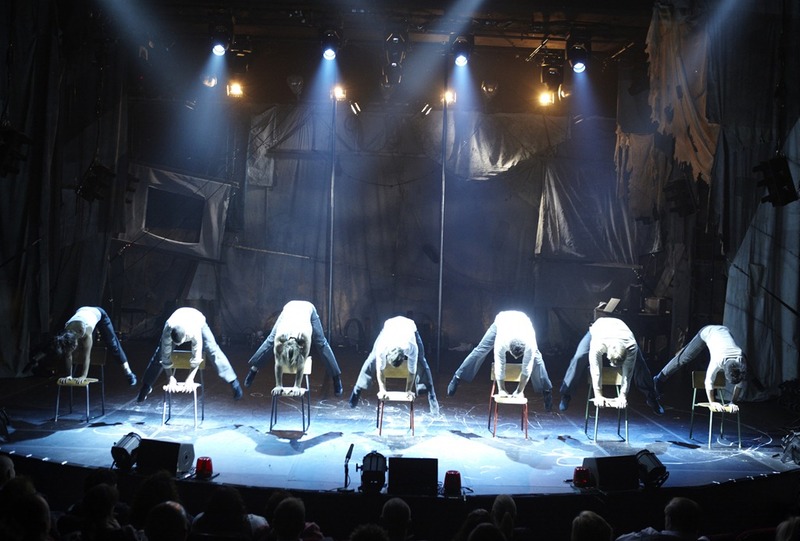 In between the Studs, a hard-working ensemble of six dress and undress…sometimes right on stage… to tell 26 different stories in 100 minutes. 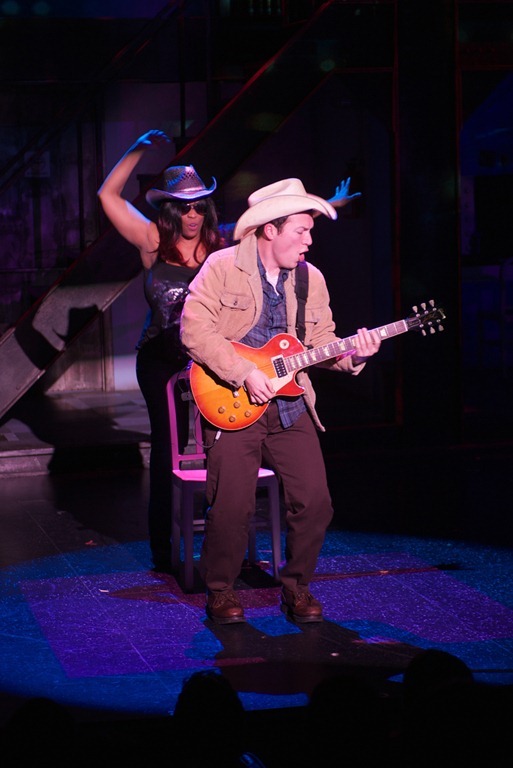 WORKING: a musical employs a talented Chicago cast! No matter what your current job status, this hard-working cast will entertainingly sing to you a familiar tune. It’s realistic, relatable, regularity life put to music. I’m pointing at Working as an enjoyable after-work happy hour. 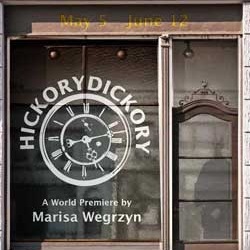 Working continues through June 5th, with performances Tuesdays, Wednesdays, Thursday, Sundays at 7:30pm, Fridays, Saturdays at 8pm, and Wednesdays, Saturdays, Sundays at 2pm. The Broadway Playhouse is located on 175 E. Chestnut in downtown Chicago (behind Watertower Place). Ticket prices are $67 to $77, and can be purchased online HERE. Running Time: 100 minutes with no intermission. A teeter-totter is harmless, right? Sure, until two men plummet from 20+ feet above to land on the teeter to send another guy tottering to the ceiling. Then, a teeter-totter officially becomes a death threat. 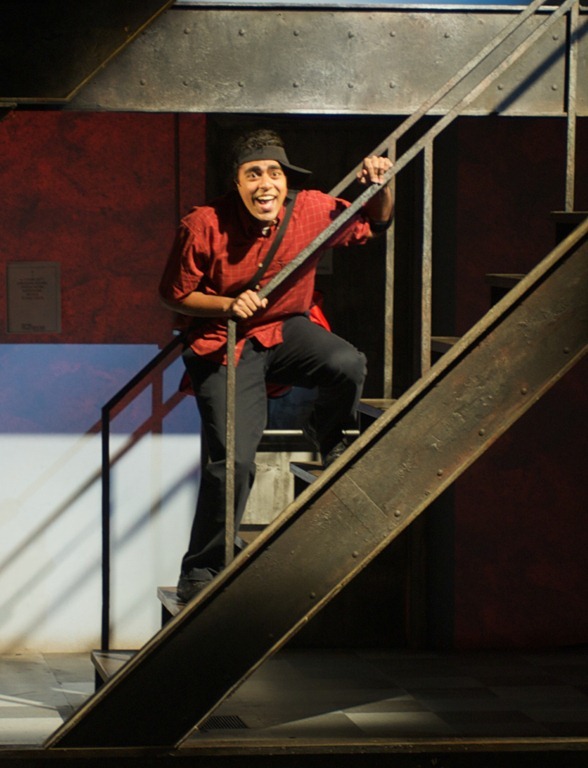 Broadway in Chicago presents the Chicago premiere of Traces. The Montreal-based performance troupe kicks off its North American Tour at the newly renovated Broadway Playhouse. Six guys and a gal open the show with a strobe-lit pulsating number of flips and tumbles. With exhilarating music and shadow silhouettes, people are flying through the air without wires or nets. Clad in similar suits, the ensemble sheds their attire in a let’s-get-down-to-business energy. Traces stomps the mundane with Fuerza Bruta jams (our review ★★★) and Hephaestus stunts (review ★★★½) to Rent stories. 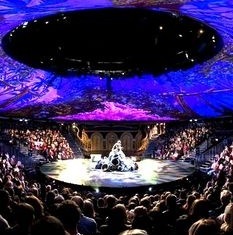 The result is a heart-pounding, heart-tugging, heart-attacking spectacle. I heart Traces! It’s the combinations that make Traces a unique stand-out on the cirque. At the heart of it, the combo of performers is surprising. One girl? Valerie Benoit-Charbonneau is one of the guys until she isn’t. In a flirtatious number with Mason Ames, Benoit-Charbonneau uses athletic ballet moves to simulate a smoldering encounter. Ames hurls and catches her… over his head, her feet on his palms. Playing out a very physical disagreement, this tryst is an exercise in trust. At 6’2 and 228 pounds, it’s not shocking that Ames anchors aerobatics. The astonishment is when he shoots through a small circle or dangles from a pole. Ames is one limber lumberjack. Philippe Normand-Jenny is the other big guy amazingly tottering with heights, his own and the stage’s. 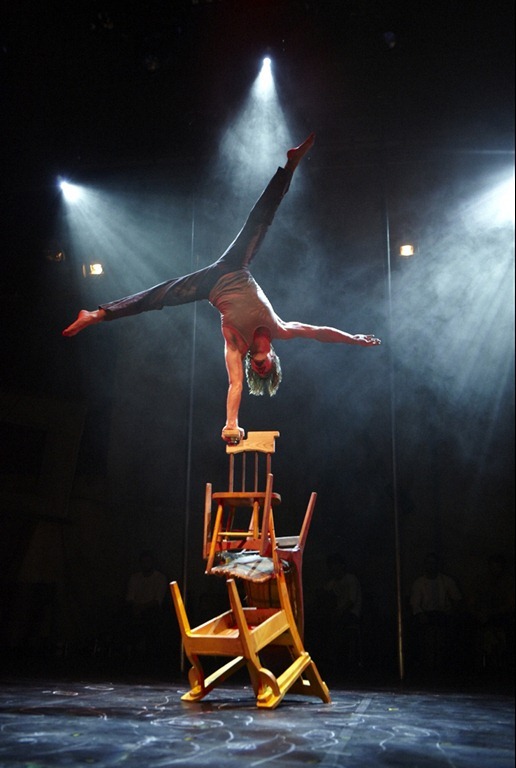 Florian Zumkehr balances on his head but the impressive part is it’s on the tippy-top of the back of a chair on the peak of a mountain of chairs. Crazy-breath holding moments. Zumkehr also scales two poles with monkey-like agility. The entire troupe hit the poles for a gravity-denying seduction. It’s some of the hottest pole dancing ever imagined! The mixture of props adds to the intriguing concoction. In a life-size hoola hoop, Bradley Henderson spins his own whimsy with controlled balance. Matthieu Cloutier dons roller skates swirling around stage and over playmates effortlessly. 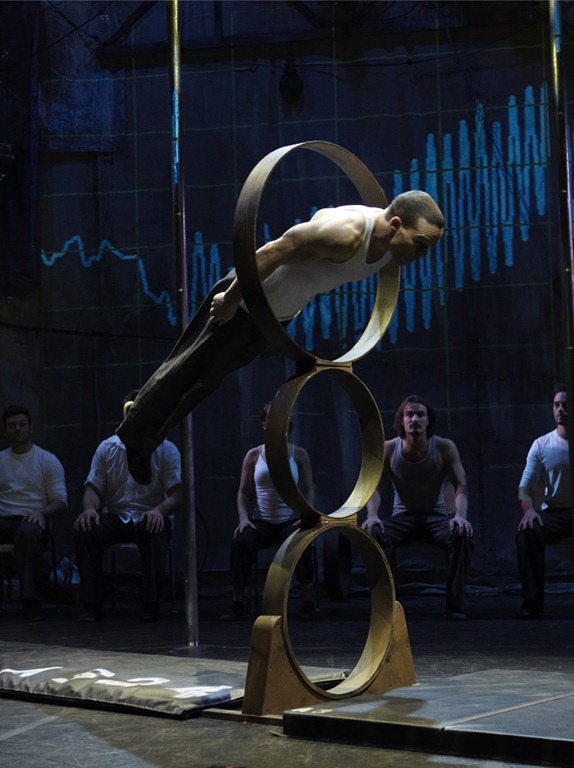 In the finale, all seven flip, jump and twist through stackable circles. Just when it seems the pile shouldn’t get any higher, 7 Fingers heaps on three more rounds to continue the captivating escalation. Each time, Xia Zhengqi magically bulls-eyes the target. Zhengqi is a supernatural phenomenon. 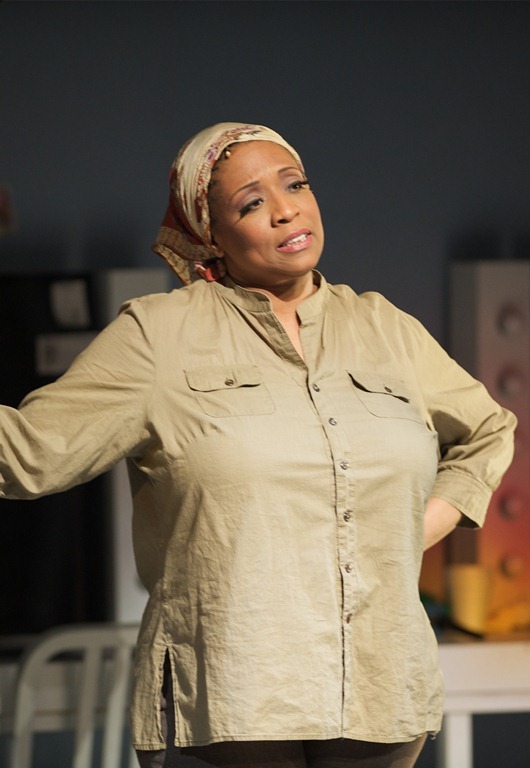 Traces runs Tuesdays, Wednesdays, Thursdays, Sundays at 7:30pm, Fridays and Saturdays at 8pm, and Wednesdays, Saturdays, Sundays at 2pm. 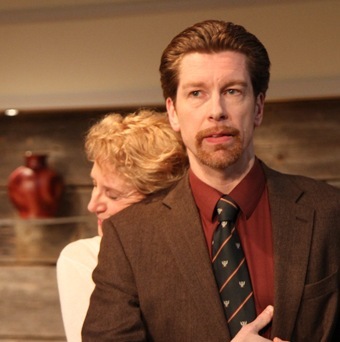 Traces runs thru December 19th. 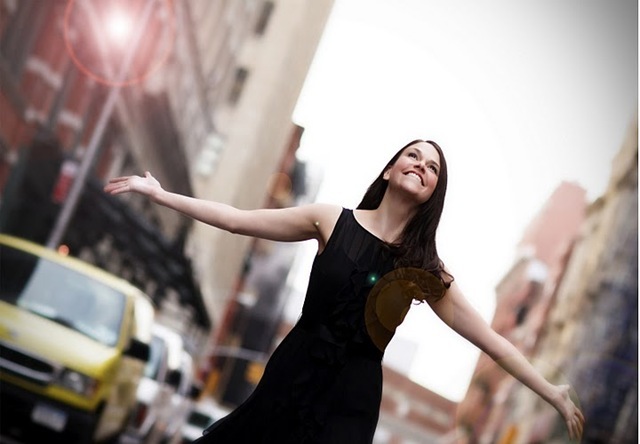 Finally, Chicago audiences will get a chance to see this amazing Broadway star – and in an intimate concert setting to boot – the new Broadway Playhouse at Water Tower Place. 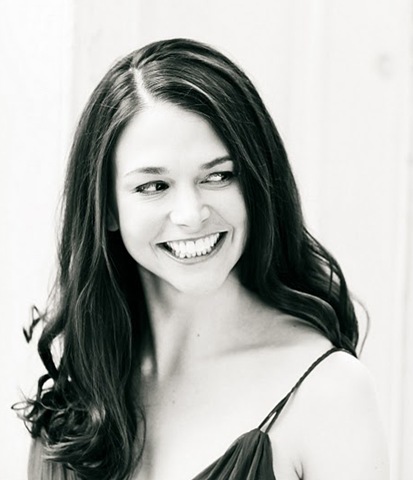 Sutton Foster, a Tony and Drama Desk Award-winning actress will perform an exclusive, four-night engagement to inaugurate this refurbished space. 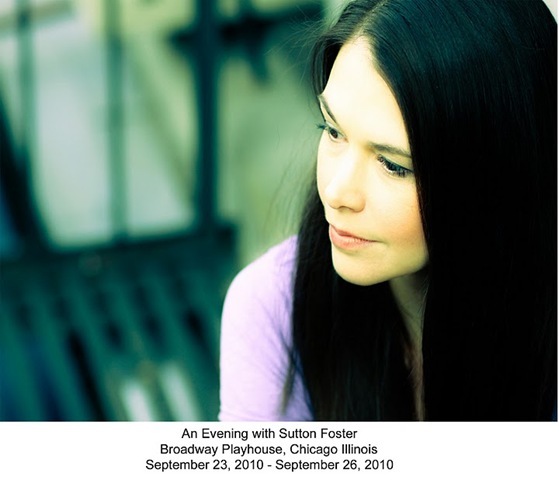 Although Sutton has been working on Broadway and national tours since she was 17, she became a Broadway legend when she became an “understudy to the rescue” and took on the lead role of “Millie” in Thoroughly Modern Millie, eventually winning the 2002 Tony Award for Best Actress in a Musical. 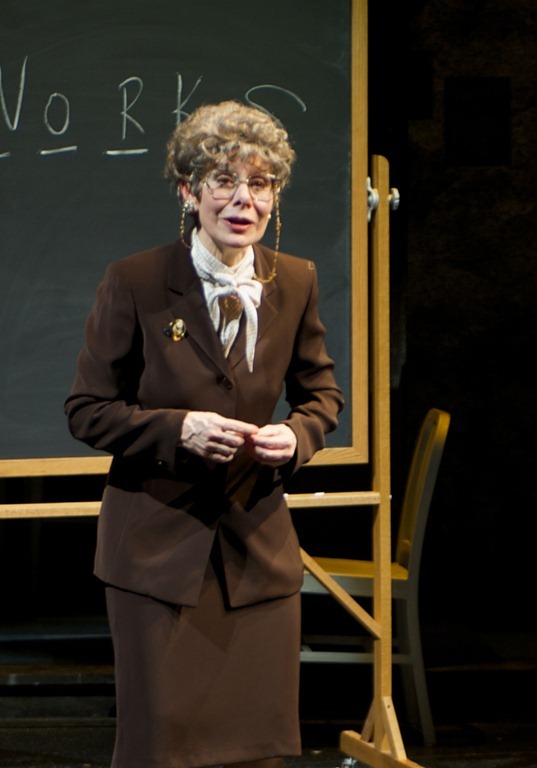 Since then, she has created four original roles in four new Broadway musicals Little Women, The Drowsy Chaperone, Young Frankenstein and Shrek The Musical; a record unsurpassed by any musical theatre actress of her generation. 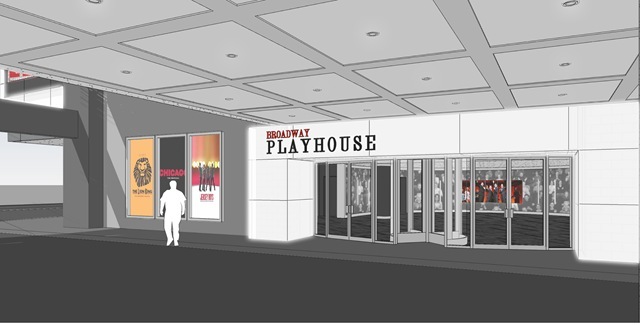 Broadway In Chicago and Water Tower Place recently announced the addition of a new venue, the Broadway Playhouse at Water Tower Place , 175 E. Chestnut Street to its family of theatres. 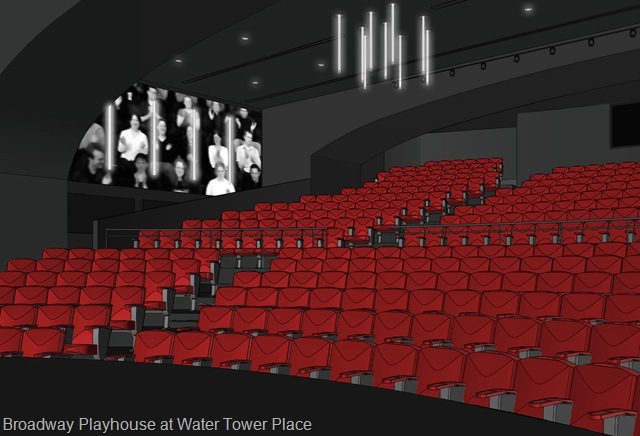 Broadway In Chicago entered into a long-term agreement with General Growth Properties (owner and manager of Water Tower Place ) that will allow the theatre, formerly known as the Drury Lane at Water Tower Place , to re-open as the Broadway Playhouse. 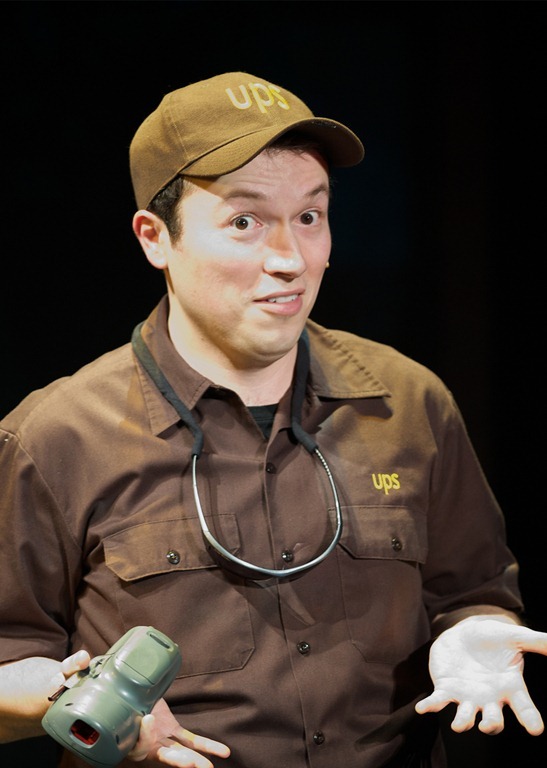 In addition to the inaugural performance of An Evening With Sutton Foster, Traces will perform at the Broadway Playhouse October 26, 2010 – January 2, 2011 and a newly adapted version of the musical Working is slated to open on February 15, 2011. Thursday, September 23 at 7:30 p.m.
Friday, September 24 at 8:00 p.m.
Saturday, September 25 at 8:00 p.m.
Sunday, September 26 at 2:00 p.m.
Tickets available at Broadway in Chicago box offices or online at Ticketmaster.